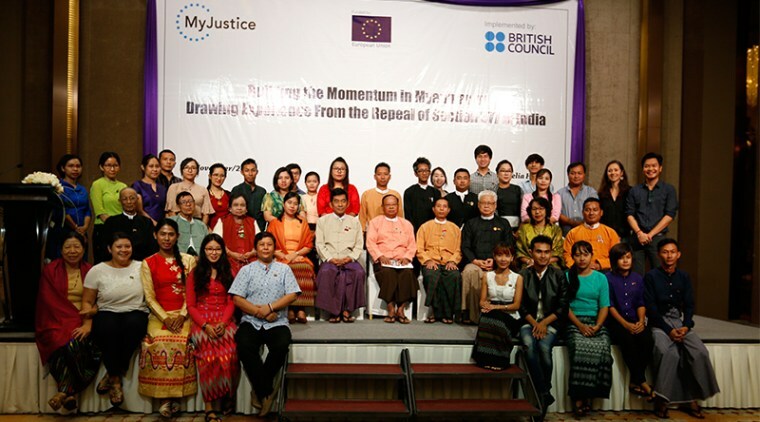 “Discussion and experience exchanging program from Harvard” concerning with Section 377 of Criminal Law which has repealed in India was also held in Myanmar at MELIA Hotel on 2nd November, lead by Colors Rainbow which is working on such rights issues. 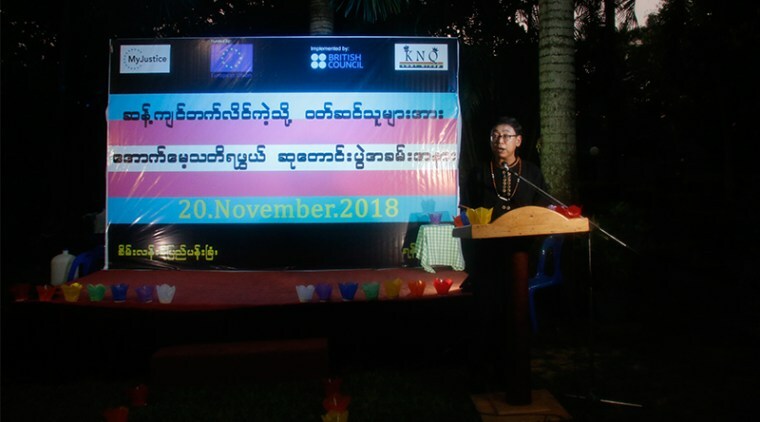 At this program, Law Lecturer, Daw Ye Mon Tun from Harvard University explained about the situations on which efforts to repeal Section 377 of Criminal Law in India and responsible persons from Myanmar Judicial and Legal Affairs Committee, Bill Committee (Pyithu Hluttaw), Legal advisory team of Myanmar LGBT rights Network, Legal Clinic Myanmar, Colors Rainbow, Gender Equality Network, LGBT rights network, Kings & Queen, American Jewish World Service and International Commission of Jurist from Myanmar also participated the discussion by comparing with current situations in Myanmar. “Judges who made the final decision to revoke Section 377 in India decided upon four main factors. These factors are (1) Constitution, (2) Dignity, (3) matters related to SOGIE and (4) right to decide on your own life. What judges thought is that constitution has to be amended in accordance with situation. There may be old customs and old traditions which should not be followed anymore in a country. But constitution is connected with the right every human should have. They thought and decided that rights should be given though these rights are not given at one time. Once, there were discriminations in India. But now, it is 2018 and time has changed a lot. 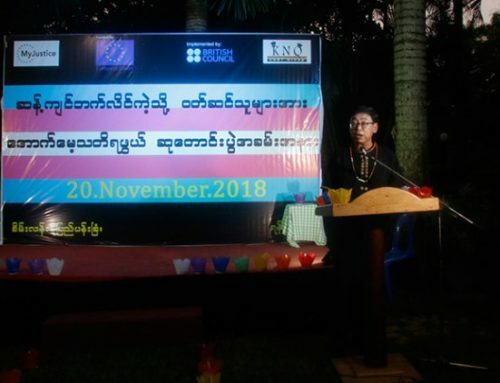 If India will go forward as an fair democracy country, the fact to amend the provisions of constitution is also included in their decision,” Law lecturer Daw Ye Mon Tun explained at Harvard University. 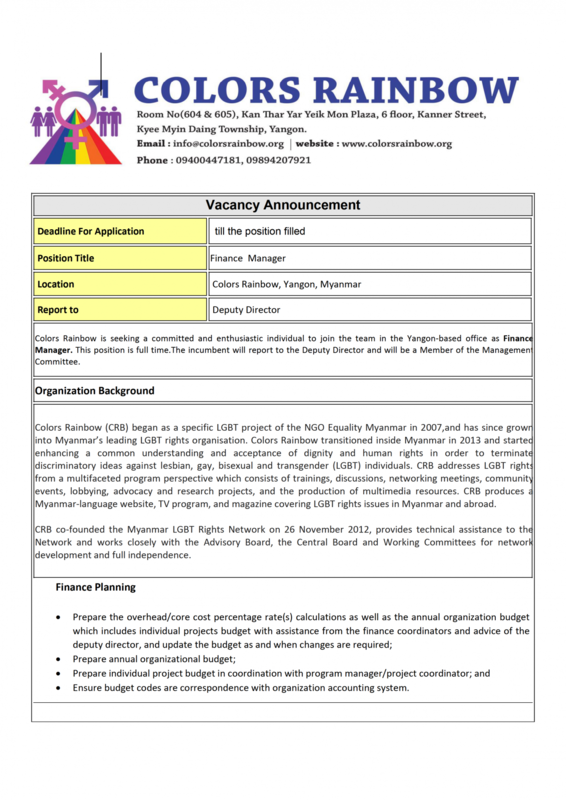 Colors Rainbow organization which is working for the right of LGBT in Myanmar, is also continuously working on Section 375 and 377 which discriminate and oppress LGBT from 2014 to 2018 and it will implement the suggestions attained form this program within the left two years term of current government. “When we heard that Section 377 of India is about to repeal and since our Colors Rainbow also has been working on things concerning with Section 375 and 377, I want to know how we can learn from them. 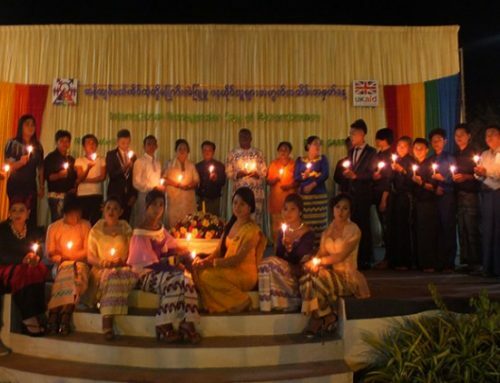 Besides, Laws of Myanmar and India are the same since the time of British government and the provisions included in their Section 377 and the facts included in our Sections are the same, so I think about why they accepted and amended it and why we have difficulties to change it. If we look at their explanation, we can see that they also had to march for years. 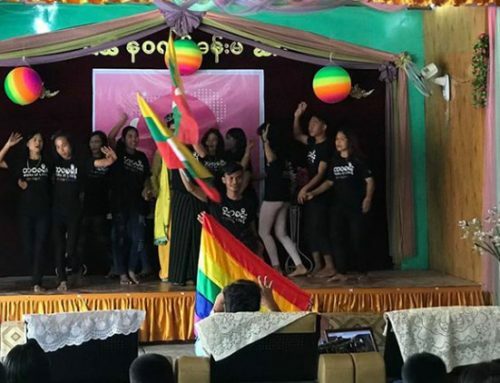 But we discussed about how we can proceed for the next processes from the stage we are right now,” said Daw Khin Ma Ma Aye, executive director of Colors Rainbow. 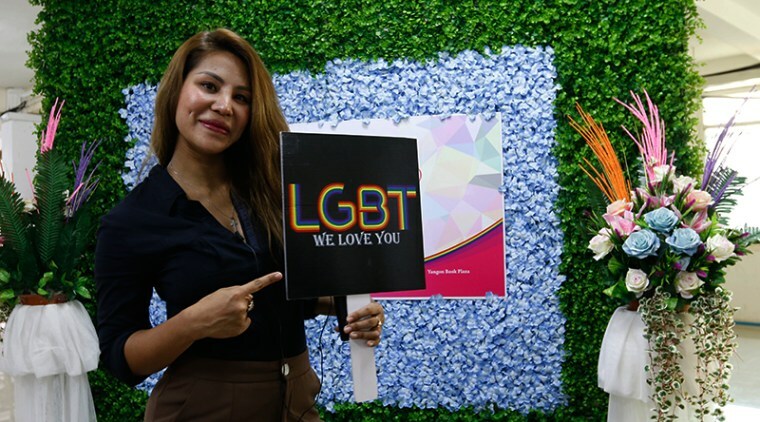 It is reported that Colors Rainbow had discussed and find answer with advocates at Rule of Law, Gender Equality for three times to find ways to change and amend Section 375 and 377 in March, June and July during 2018. 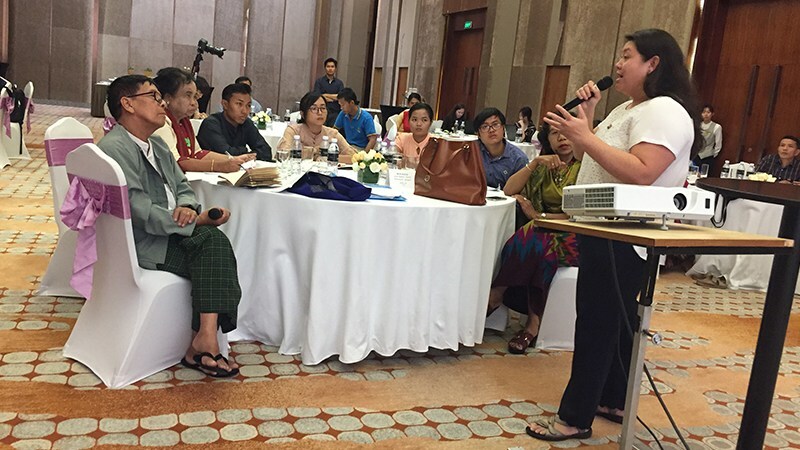 “Advocates and Rule of Law organization said that we have to do in our own ways in Myanmar. Their wish is that it would be rather hard to change or amend entirely as India did. 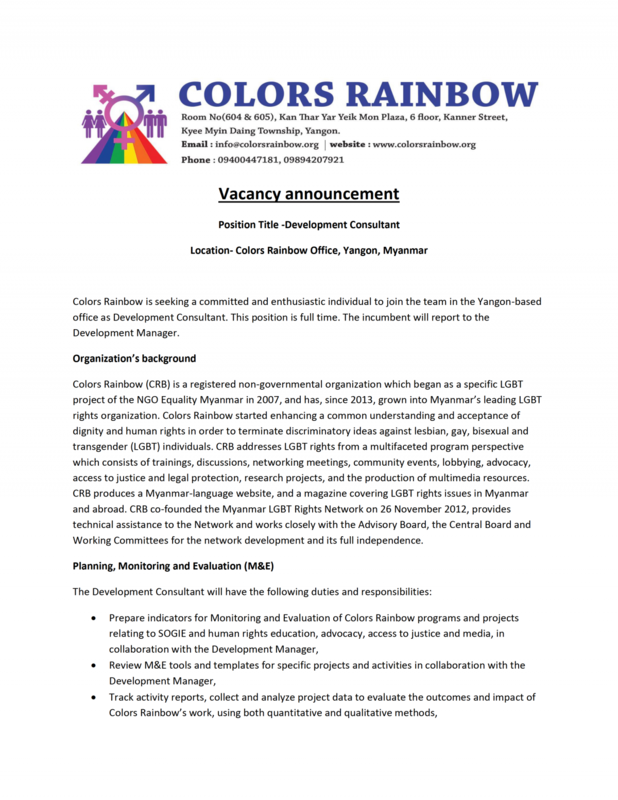 As there are ways to do, our Colors Rainbow discussed for three months and we partially added requirements of Section 377 to Section 375 and there are some facts that we had written. 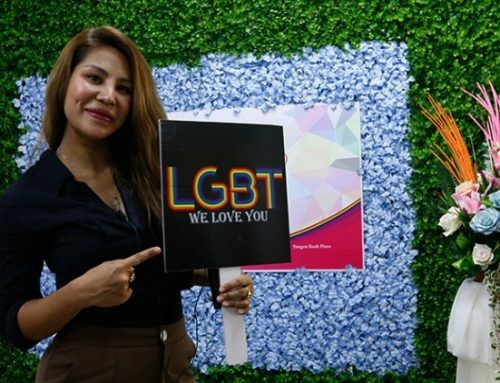 What I learned from the discussion program is that I asked how we said about it and how we will do about it,” continued Daw Khin Ma Ma Lay , executive director of Colors Rainbow. 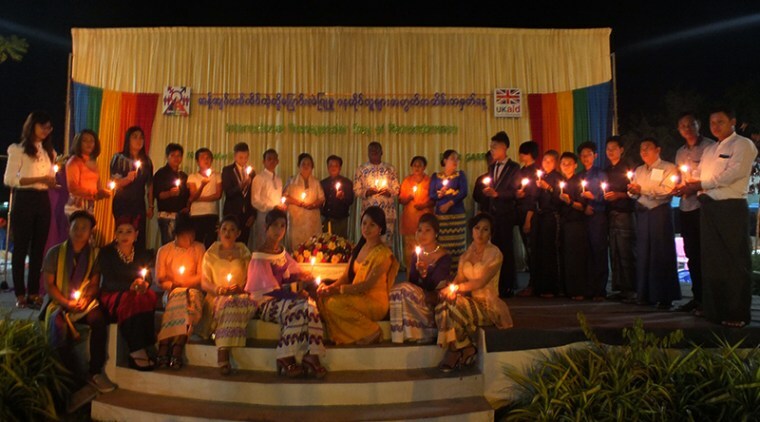 Since Hluttaw has not still accepted the demands for right of women and children which are 50 percent and 30 percent of Myanmar population, they told their opinion that there will be difficulties in demanding for LGBT’s right. “Myanmar’s judicial system is different from India. The Constitution is also different. According to 2008 Constitution, it can only be amended the Constitution officially. Constitutional Tribunal defines the meanings. This path is difficult to go. In Myanmar, we can do more easily in Hluttaw. It would be easier to amend the law through Pyidaungsu Hluttaw. Today, cases are determined in accordance the provisions of Law because of Constitution. The fact if a case is homosexual or not and if the case should be taken action or not is determined in accordance with the provisions of law. In any case, the judge do not have right to determine it should not be taken action for human right, for justice. Also, there is no custom of doing like this. So, I think that it is dementedly impossible if we follow the way of India,” said U Kyaw Hoo who is a Legal Support Member and advocate. Besides, he suggested that since that law applies to all citizens in Myanmar, it is required to amend the law at the time of current government and if the draft law can be prepared quickly as possible and submit to bill committee, the process will be faster and we can get success if we organize the member of parliament. “If this law is still effective, LGBT are being abused. 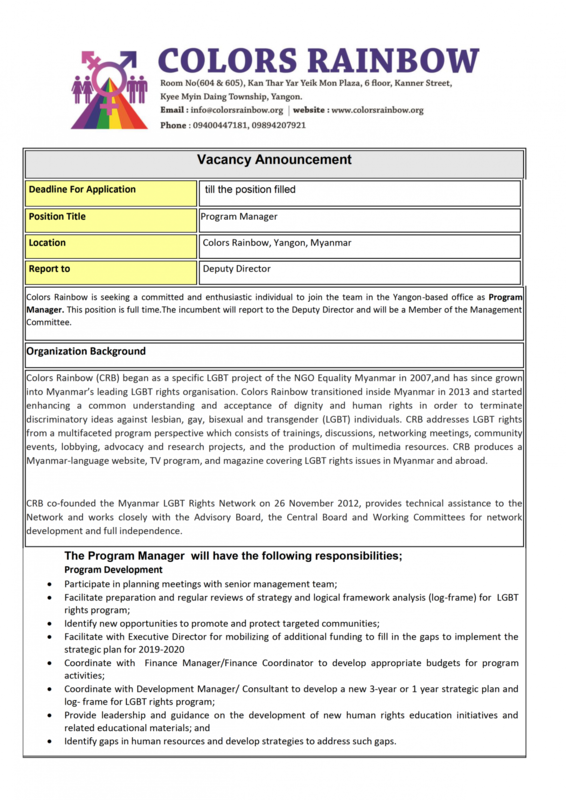 They will be discriminations on LGBTs in every sector from work to school. We have to struggle for our livelihood and to marry. This is basic needs for all humans. If LGBT are only allowed to struggle their livelihood but not allowed marrying, they become small as the gap goes on. They become ashamed. They become ashamed of the things they do secretly. They will have to go to jail. Eventually, they will even commit suicide. We need to amend law to prevent these situations,” continued U Kyaw Hoo, Union legal support member and advocate. 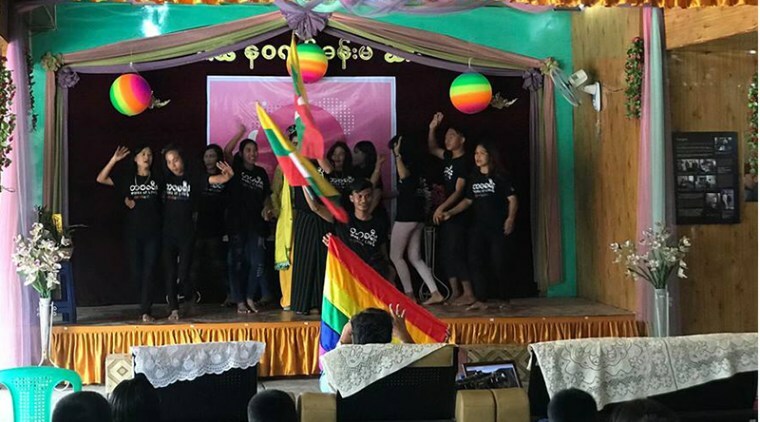 Currently, if LGBT have any cases, advocates from Colors Rainbow organization are taking the cases free of charge at 13 townships such as Hlaing Thar Yar, Thar Keta, Shwe Pyi Thar, Tamwe, North Okkalar, Thanlyaing, South Okkalar, Thingangyun, Mingalardon, South Dagon, Innsein, Hlegu and Hlaing townships not to charge with section 377.